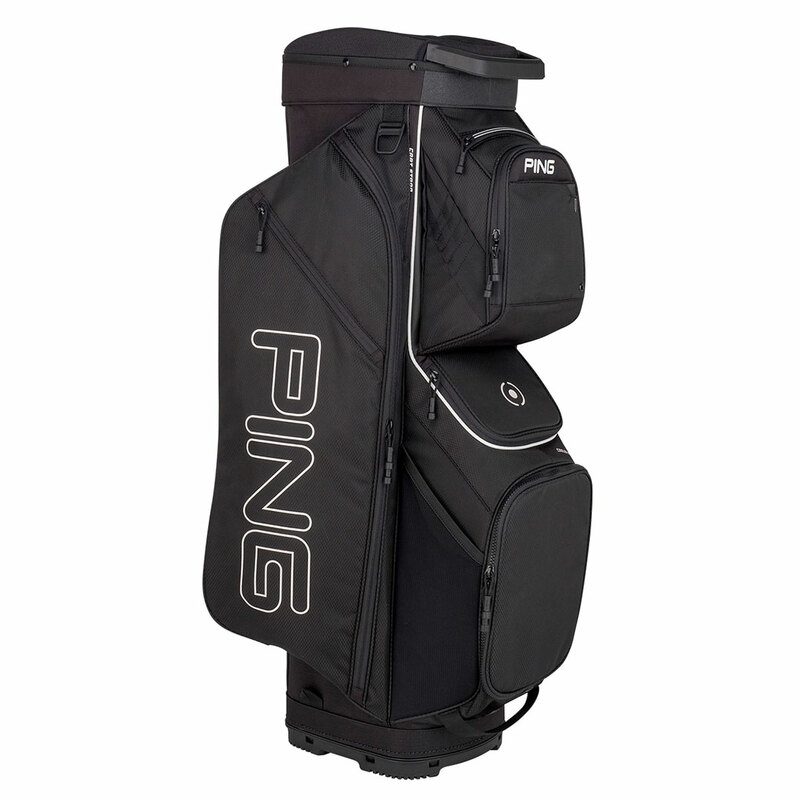 New for 2019, this newly designed PING Traverse cart bag simplifies your organisation into one great package. Constructed from a small-diamond rip-stop polyester and a high-impact 14-way top divider which offers superb protection and organisation for your expensive golf equipment. 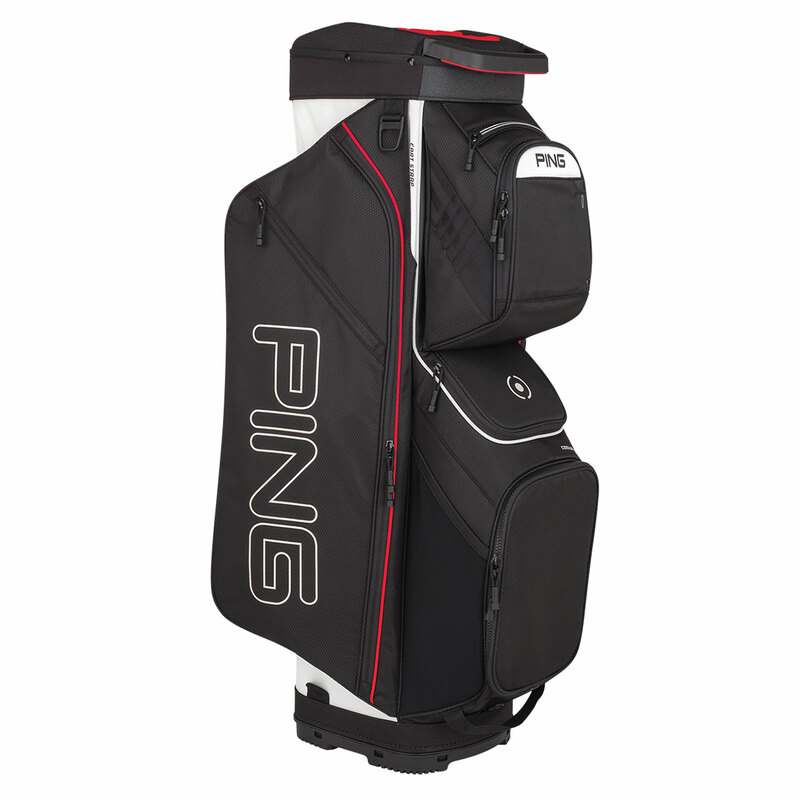 13 pockets of offer 34 litres of volumetric storage space which include a large cooler pocket, a velour-lined valuables pocket, and a range-finder pocket for all the latest golfing accessories and essentials etc. The bag also includes a built-in front-facing grab handle and trunk handle for easy lifting, plus has a secure trolley base to fit most golf trolleys.